- Britten, Ceremony of Carols. No clear favorite. Lots of other good Christmas music, but those are the top ones. Now you see, it's only December 8 and already you are forcing us to start our annual Christmas thread. You left out the Bach Christmas Oratorio. To which I would add, it being a sentimental favorite from a performance in college, the Christmas Oratorio of Schütz. jbuck919 wrote: Now you see, it's only December 8 and already you are forcing us to start our annual Christmas thread. It's almost all academic to me, memory-wise and budget-wise. Devastating. I have a father, a sister, a niece, and a brother-in-law with December birthdays; my parents' anniversary is in three days. Also, my youngest nephew turns 21 on New Year's Day. Finally, I'm no fan of Hans Christian Andersen's fairytale The Little Match Girl, but Danish composer August Enna wrote an exquisite one-act opera Den lille pige med svovlstikkerne. It's still available for download on ITunes, Rhapsody, etc. Last edited by Wallingford on Thu Dec 09, 2010 11:21 am, edited 1 time in total. I sang this twice with David Randolph in Carnegie Hall: each time was a treasured memory....it's still my favorite Christmas music. This is hands-down my favorite Christmas CD. 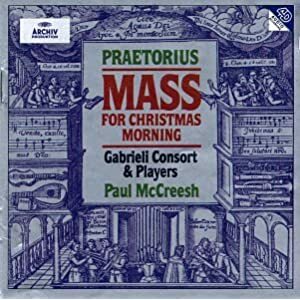 McCreesh and company have reconstructed a Lutheran Christmas service ‘as it might have been celebrated around 1620’ and with contributions from Samuel Scheidt, Johann Hermann Schein and most notably Michael Praetorius. I invariably include some of it in the three hours of Christmas music I program every year for broadcast between 6 and 9 p.m. Christmas Eve. 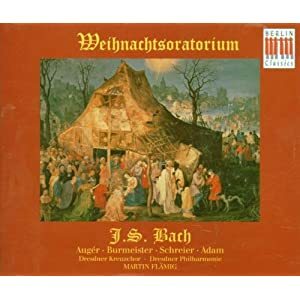 Bach: Almost any of the Christmas cantatas and the great opening chorus of the Christmas Oratorio, "Jauchzet, frohlocket." Rheinberger's "The Star of Bethlehem"
I enjoy it each season.